People have reported brewing great Kombucha, Kefir, Jun, Ginger Beer and Japanese Water Crystals with just about any sugar including fruit juices. Especially effective at super increasing the gluconic acid level is Sour Cherry Juice. Here is a simple presentation of different sugars and their affects in fermenting probiotics. Most fruits contain sugars (fructose) that will ferment when combined with wild or airborne yeasts and bacteria. That is both good and bad news. Sugar is good, just we can't be sure what wild or airborne yeasts and bacteria may be present. There is also sugars in certain herbs such as ginger and ginseng and in berries like wolfberries and Da Zao (dates). Technically in a ferment cycle there are two types of activities going on; one is fermentation (anaerobic - without oxygen) and the other respiration (aerobic - with oxygen). However in Kefir and Kombucha Tea Brewing (achieved aerobically - with oxygen) common usage referWater should be of the highest quality and free from contaminants like chlorine. The amount of oxygen and carbon dioxide present in the water will also be a determining factor in this process. Yeast either via acid hydrolysis or by producing enzymes cleaves sugar into glucose and fructose. Glucose is the energy source of our biological cells, and the energy source of our Probiotics. The glucose portion is what we are interested in. The synergy of the yeasts cleaving the sugar and the bacteria producing acids results in the common denominator that defines Kombucha Tea as Kombucha Tea (and not something else) as acetic acid, gluconic acid and fructose. The major variables; Sugar, Tea, Temperature, Time and Oxygen. all further refine and define your ferment. Most information of brewing and fermenting deal with the interaction between the species of yeast used with the sugar selected. The bacteria do ferment and require sugar and their "desires" must be considered as well. Though they are not typically the first in line. This interplay is important and why I refer to this action not as a symbiosis (friendly mutual cooperating) but rather as a serendipitous adventure that has a interaction between the yeast, the bacteria and us that each has their own set of goals that more often compete. (SCOBY). refer to the Glycemic Index at the end of this article. Cane Sugar. Cane is crushed, and the juice is then treated (often with lime) to remove impurities, this is then neutralized with sulfur dioxide. We use Organic Sugar. Evaporated Cane Juice. it is not fully processed as plain white sugar and retains its natural vitamins and minerals-not needed by the SCOBY but great for humans and organic is pesticide and toxin free. Fructose is often recommended for diabetes mellitus or hypoglycemia because it has a very low Glycemic Index (GI). Fructose needs glucose to be properly absorbed. Excess Fructose is carried into the lower intestine where it provides nutrients for the flora. It may also cause water retention in the intestine. (bloating, excessive flatulence, loose stools, diarrhea obesity, high cholesterol and triglycerides). Fructose also chelates minerals in the blood which may or may not be a good thing. Fructose produces almost all acetic acid and very little gluconic acid while taking considerable longer to ferment. Fructose is often suggested to add to your already fermented KT just prior to bottling to sweeten and create more fizz. (1/4 tsp per quart). Fructose is often added to lactic acid ferments (kefir, sauerkraut, etc) to further along in a vinegar making process. Fructose leaves a slight taste behind as does other sugars. Fructose is sweeter than glucose. Unlike glucose, fructose is almost entirely metabolized in the liver. When fructose reaches the liver, says Dr. William J. Whelan, a biochemist at the University of Miami School of Medicine, "the liver goes bananas and stops everything else to metabolize the fructose." Eating fructose as compared to glucose results in lower circulating insulin levels, leptin, and ghrelin levels. These hormones are implicated in the control of appetite and satiety, and it is hypothesized that eating lots of fructose could increase the likelihood of weight gain.. Therefore in Kombucha Tea even with a long ferment (and still contains some fructose) people may gain weight ? especially those that are sugar sensitive like vegans. The weight loss reputation of Kombucha Tea is associated with the acetic acid levels and the contribution of the tea (Camellia Sinensis) in the ferment. D-glucose is made via the enzymatic hydrolysis of starch. (corn, rice, wheat, potato,). A combination of heat and bacterial enzymes. [ ?-amylase from licheniformis or stearothermophilus]. Boiled for 1?2 hours, these enzymes hydrolyze starch into smaller carbohydrates. In the second step, saccharification, the partially hydrolyzed starch is completely hydrolyzed to Glucose using the glucoamylase enzyme from Aspergillus niger. The solution is then purified by filtration and concentrated. via evaporation. Glucose / Dextrose (corn syrup). All Glucose will produce almost all gluconic acids with very little acetic acid. Reduces the activity of the yeasts (Crabtree affect/ yeasts over-eat) and helps balance a kombucha ferment from an over yeasty or foul taste. Also takes longer to brew, usually 8-14 instead of 6-8) and does not produce as thick creamy smooth mushroom. Use 25-40% more Dextrose than you would use white sugar to produces a much sweeter (less bitter taste) brew with reduced overall sugar. A combination of sugars seems to work best. Use 2 oz (60 cc) dextrose with 6 oz (180 cc) of organic sugar. Total of one cup of sugar per 3 quarts (3 liters) of water. Leaves little if any taste behind and is more completely fermented. Raw Sugar is a brownish color since it contains molasses. Also known as Greencut sugar and used as cattle feed. "Raw sugar is unfit for direct use as food or as a food ingredient because of the impurities it ordinarily contains". (United States Food and Drug Administration). Therefore it is bleached white by exposure to sulfur dioxide or by using phosphatation a treatment with phosphoric acid and calcium hydroxide that precipitated the juice. Brown Sugar is produced when the purified white sugar crystals are once again impregnated with molasses. Sometimes just ?caramel? is added sometimes chemical coloring is added. In one Study of fermented kombucha Oriental/Tibetan with green/black tea extract supplemented with brown sugar. Kombucha beverages were made from sweetened tea by Oriental, European and Tibetan tea fungus starters. The hot water extracts of green tea, black tea, Gugija and Omija were mixed with white and/or brown sugar, and were fermented under a static culture at 30C (86F) . Titratable acidity, pH, color and cellulose production in kombucha beverages were evaluated. All tea fungus starters showed a higher acid production in green/black tea extracts rather than Gugija and Omija extracts. In green/black tea extracts, Oriental tea fungus produced a kombucha beverage with a higher titratable acidity and lower pH than those of European and Tibetan tea fungus starters. By the static fermentation of green/black tea extract for 18 days, Oriental, Tibetan and European tea fungus starters produced cellulose pellicles of 0.43 g, 0.16 g, and 0.19 g (dry weight) on the top in the culture, respectively. As a mother starter, the cellulose pellicle was more efficient in acid production compared with tea fungus broth. Oriental/Tibetan mixed tea fungus showed the best acid production in the green/black tea extract supplemented with brown sugar. Turbinado sugar is closer to refined sugar than to raw sugar. However, there is still a molasses coating on the crystals. Turbinado is centrifuge in Spanish. It is centrifuged raw sugar. In the UK the term is 'ç' and in Australia 'Raw Sugar'. Today it is more often steamed than spun. Sucanat (SUgarCAneNATural) is a US trademark term for the UK term 'Molasses sugar' (90% sugar). It is the old style dark uncentrifuged raw sugar (Muscovado, 92% sugar) with added molasses. We recommend to substitute raw/brown/turbinado sugar for granulated white on a 1 to 1 basis, and the most significant difference will be taste, and then adjust the taste as you feel. 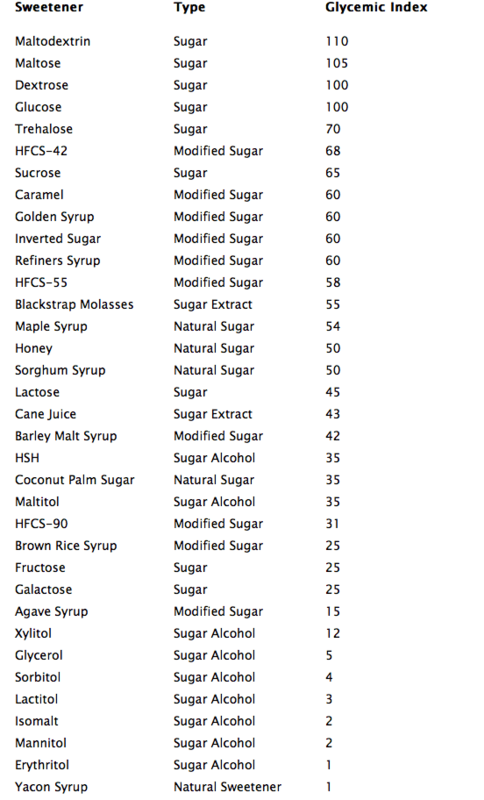 Syrups generally range close to 60% glucose 40% fructose. Plus the impurities like vitamins and minerals, all which add to a particular taste and character. The particular taste carries over to the ferment. Maple Sugar is obtained from the sap of Maple trees. It is made up of sucrose, fructose, and glucose. Other tree sugars are Birch, other Syrups are Rice, Maple, and Barley Malt. All offer a instinctive flavor. To use syrup in place of the common table sugar which is called for in most recipes is simply to substitute an equal amount of your "sugar" for what the recipe calls for. This keeps it simple. Judge for yourself the results, just keep in mind that your yeasts and bacteria may lag behind, taking a bit longer and not be able to utilize all the sugar you provided. Adjust the amount on successive batches till you are satisfied. It will be trial and error and note-taking helps a lot. Using a Brix or Hydrometer will make your like much simpler and get you to your perfect brew sooner. Molasses or treacle is a thick syrup by-product from the processing of the sugarcane or sugar beet into sugar. (In some parts of the U.S., "molasses" also refers to sorghum syrup.) The quality of molasses depends on the maturity of the sugar cane or beet, the amount of sugar extracted, and the method of extraction. We typically recommend adding 2 tablespoon of molasses to each cup of white sugar to spur the growth of Japanese Water Crystals. The rationale is the molasses contain minerals that benefit the ferment. Much the same way that we recommend Piloncillo (sugar) for Ginger Beer brewing. This is more important where one uses distilled or filtered water (soft water) rather than spring or hard water. hard water contains more mineral content that benefits the ferment. HONEY is a combination of fructose, glucose, water, and other nutrients. may have been the original ?sugar? used in Kombucha mushroom tea. (though Beets/ beet sugar were more common). Because Honey kills various bacteria it is erroneous thought to be bad for kombucha tea. However that opinion is wrong. Honey kills bacteria and pathogens by osmotic pressure and it contains hydrogen peroxide also a bactericide. Honey does ferment kombucha mushroom tea, just usually takes longer but the production of cellulose and acids in Kombucha is greatly enhanced by the fortification of honey (5o Brix). Kombucha fermented for 12 days produced 3.2 g (dry wt.) of cellulose pellicle with 10.6 mm thickness. According to a study entitled: Factors Affecting Production of Bacterial Cellulose and Acids in Kombucha by Sam-Pin Lee*, Joseph Baek and In-Seon Lee (Department of Food Science and Technology,Keimyung University, Taegu 704-701, Korea). Other studies indicate that Honey & Black Tea are better for diabetics then other ferments. Raw honey may contain unknown ingredients or may harbor pathogens, especially Clostridium botulinum spores and for that reason Raw Honey is not recommended for infants, or those in a compromised position. Additionally raw honey (or kombucha tea) is not recommended for infants as an infants immune system has not yet fully developed and raw honey or Kombucha Tea may delay their development. A combination of Honey and Sugar is common. And believed beneficial for Diabetics. Do not boil the honey?use raw honey and add only when the water has cooled and is just warm enough to melt the honey. A honey ?taste? remains with the ferment. Honey like Syrups contain less glucose gram for gram than white sugar so one?s recipe should be adjusted accordingly. Generally use 25% more honey or syrup than white sugar. Or combine with white sugar. According to Hippocrates the father of modern medicine, the combination of vinegar and honey was called Oxymel. This created the foundation for many medicinal herbal formulas. Oxymel is a natural combination as both vinegar and honey are used extensively even today for medicinal purposes. Besides the immediate medicinal affects it also served as a favorite solvent extracting the various benefits of additional herbs. Not only were the sweet and sour taste medicinally purposeful but allowed for a more palatable remedy and for better patient compliance. Besides the manifold benefits in acute illness. It moves the bowels, relieves respiration, especially when given warm and in moderation and when the mixture is not too sour, when it dampens the intestines, it sates the thirst, promotes release of gas and acts on the urine. (Hippocrates as quoted by C. Hobbs: Kombucha The Essential Guide p.32). You may want to create your own. Mix one pound raw uncooked honey to 16 ounces of really sour Kombucha Tea (the older the better.) If left at room temperature this combination will continue to ferment therefore do not seal and leave at room temperature, keep refrigerated. NOTE: Cooked or pasteurized honey kills the medicinal value of honey.USFDA demands that all honey sold in the U.S is pasteurized (cooked). Also I've heard that many Honey has been adulterated with cheaper sugar. Know your source. Syrups and Fruit Juices ferment as well. This opens a super wide choice of sugars to use in creating your elixir. Vegetables can also be fermented like Cabbage (sauerkraut, kim chee) and Cayenne and other Peppers (Tabasco sauce), although these are principally a Lactobacillus not Acetobacter bacteria ferment. All these may be mixed and matched and your creative juices can flow. Dietetic sugars are absorbed by the body at a much slower rate than sugar. Mannitol a by-product of alcohol production but does not contain any alcohol. It does have a laxative effect when consumed in large quantities. Sorbitol is produced from glucose and it is also found naturally in certain berries and fruits. White sugar: after being treated (see above) the juice passes through a machine (spin dryer). The spun off liquid is molasses. Plain White Sugar is high octane to ferments and the kombucha SCOBY because the yeasts can easily break it down into glucose and fructose and thus into beneficial acetic and gluconic acid. However many people believe white sugar contains far too many toxic residues. Our choice is Organic Sugar Evaporated Cane Juice. it is not fully processed as plain white sugar and retains its natural vitamins and minerals-not needed by the SCOBY but great for humans and organic is pesticide and toxin free. Piloncillo, is the Preferred Sugar for Tibicos and Ginger Beer ferments. Piloncillo is raw, unrefined, non-centrifugal cane sugar with a high molasses content. it contains what sugar producers call impurities. It turns out that these so-called impurities are essential minerals such as calcium, potassium, magnesium, copper, and iron, as well as small amounts of fluorine and selenium. Piloncillo is pure natural cane sugar concentrated by boiling. There are no additives. In addition to being a food source as rich as honey. Piloncillo has been discovered to have some unique medicinal properties. It has the reputation of being a medicinal sugar and is prescribed for use in the Ayurvedic system of medicine. dating back to 2500, purifies the blood, prevents rheumatic afflictions and disorders of bile and possesses nutritive properties. A paper presented at the Workshop on Biopersistence of Respirable Synthetic Fibers and Minerals held 7-9 September 1992 in Lyon, France Found Piloncillo a protective agent for workers in dusty and smoky environments, as preventive action of on , Reduced regional lymph nodes and benefited the Lungs and reducing smoke-induced lung lesions. Other perceived benefits; prevents tooth decay being a natural energy replacement for refined sugar. Constipation (in babies), which is very frequent with white sugar, disappears. It prevents nutritious anemia and rickets. Thrush or aphthae rarely returns. Children are more alive and full of vitality. Source Dr. N.H. Beguin, Pronatec S.A. - Switzerland. Stevia and Xylitol do not ferment. They can not be used in ferments as a food source but may be added where a sweeter taste is desired and unusually added in the second stage bottling. note that Xylitol maybe a good sweetener for people it can kill dogs, creating hypoglycemia. This was reported in a dogs death back in 2002 when certain dog food companies used it in their products. STEVIA 200 Times sweeter than Sugar ! A a dietary supplement, natural Stevia has been shown to help balance blood sugar, lower high blood pressure, reduce one's craving for sweets and fats, and "turn off" hunger sensations. Reduces the bacteria that causes tooth decay and gum disease. It is also effective in skin care. Makes an excellent face mask, both tightens and softens skin. Use in coffee, teas and cooking The dark green colored whole leaf extract is exceptionally healthful, both internally and externally. Highly concentrated, it has a bitter-sweet taste until properly diluted. White Stevia is Processed and standardized up to 80%.Rebaudioside A. (400 times sweeter than sugar) and is a fine white powder, no bitter after taste. The raw powdered herb is green. very sweet, but not as sweet as the processed white stevia. The raw green stevia and to a lesser extent white stevia leaves a slight after-taste. Thaumatin which is a natural (plant extract) sweetener about 2,000 times that of sucrose. but does leave a pronounced liquorice-like aftertaste. Does not ferment. For the Kombucha (SCOBY / Serendipitous Colony of Bacteria and Yeasts) and yeasts in general will eat and thrive on most any sugar. They do get set in their ways and changing from one type of sugar to another will cause a lag time in their production until they become accustomed to their new food source. While arguable White Sugar will fuel the yeasts faster, the yeast and bacteria will leave behind (for you) any heavy metals or toxic residues. Compared to Organic Sugar which does not have heavy metals or toxic residues, the yeasts and bacterial will leave behind other "impurities" like the vitamins and minerals, which the yeasts or bacteria can not utilize but you can. The balance is to find the right amount of fuel needed for the bacteria and yeasts to optimally perform while leaving behind the most beneficial and tasty drink. The vitamins and minerals leave a slightly bitter aftertaste. Other tastes left behind are more characteristics of the particular sugar used, for example Syrups and Honey impart their flavor to the ferment. The species of yeast and species of bacteria will affect each ferment differently consuming more or less of the sugar you use. The amount of sugar: too little and the ferment is incomplete. Too much and either one of two things may happen. One, the yeasts will "rush" or "flush" where they overwhelm the surface with bubbles and spent yeasts cells ending up with a poor ferment. Or two, the yeasts will become "stuck" and no fermentation at all will take place or a very slow ferment will happen. Referred to as the "crabtree effect" live being overstuffed after a large holiday dinner.Yeast work fastest at about 1-2% sugar concentration. High sugar levels actually retard the growth of yeast; Initial concentrations above 25% are problems. To make the strongest possible elixir increase the sugar gradually. For example adding 1/3 on Day 1. 1/3 on Day 2, and the final 1/3 on Day 3. If you use a Hydrometer, add sugar at 1.040, bringing ferment up to 1.060-65, let it go until 1.040 add sugar again up to 1.060 and so on until you've added the sugar you want. Remember that kombucha mushroom tea is a balance between the yeast and the bacteria. Overactive yeasts will diminish the bacteria and leave you with just kombucha (tea) wine with higher alcohol and less beneficial acids. Refer to our Kombucha Pictures to see how the yeast can rush or destroy a ferment. Kombucha brewing is a continuous effort to balance the activity of the yeasts (carbonation and alcohol) directly related to amount of dissolved oxygen in the liquid and the type of sugar used and the Bacteria (gluconic and acetic acids) directly related to surface oxygen and alcohol. Many homebrewers find the bottling process to be mundane and tedious. With this in mind Coopers have produced Carbonation Drops, and a nice head. Ingredients: Dextrose, Spray-Dried Malt Extract, Heading Powder (PGA). 5 tabs per 12 oz/350 ml bottle for high carbonation. 4 tabs for a normal carbonation or 3 tabs for a light carbonation. This is especially handy for the brewers that love the carbonation. Just drop into the bottle, fill leaving 1-2 inch air space, then cap. 5-7 days for full carbonation at room temperature. Follow safe bottling techniques. How Much Sugar is Left. For those that are concerned with the amount of sugar left after a ferment - or for how long to ferment for a Hydrometer is a inexpensive used tool. A Brix is another tool used to read how much sugar is in your brew. This is easier for some to use and more accurate. To check accuracy Residual Sugar Test Kit are also available. Regardless of how long you ferment some unfermentable sugar always remains. Longer ferment will cause the brew to become overly sour to a point of being undrinkable. I recommend to stop the ferment when the taste is to your satisfaction and then to do a Secondary Ferment to achieve a more pleasant drier Kombucha Mushroom Tea. INVERTED SUGAR How to Invert Table Sugar. On medium heat without stirring boil the mixture to 236°F (114°C). Remove from heat and cover the pan. Let cool at room temperature. Store in a refrigerator. Invert sugar will last at least 6 moths. Hydrolysis is a chemical reaction in which a molecule breaks down by the addition of water. Hydrolysis of sucrose yields lucose and fructose about 85%, the reaction temperature can be maintained at 50–60 °C (122–140 °F). Inverted sugar syrup can be easily made by adding roughly one gram of citric acid or ascorbic acid per kilogram of sugar. Cream of tartar (one gram per kilogram) or fresh lemon juice (10 milliliters per kilogram) may also be used. Even sour kombucha tea. The mixture is boiled for 20 minutes to get to a temperature of 114 °C (237 °F), and will convert enough of the sucrose to effectively prevent crystallization, without giving a noticeably sour taste. Invert sugar syrup may also be produced without the use of acids or enzymes by thermal means alone: two parts granulated sucrose and one part water simmered for five to seven minutes will convert a modest portion to invert sugar. All inverted sugar syrups are created from hydrolyzing sucrose to glucose (dextrose) and fructose by heating a sucrose solution, then relying on time alone, with the catalytic properties of an acid or enzymes used to speed the reaction. Commercially prepared acid catalysed solutions are neutralized when the desired level of inversion is reached. Alcoholic beverage manufacturers often add invert sugar in the production of drinks like gin, Scotch whisky, beer andsparkling wines for flavouring. Candi sugar is a type of invert sugar used in the brewing of Belgian-style beers to boost alcohol content without drastically increasing the body of the beer; it is frequently found in the styles of beer known as dubbel and triple. Jam, when made, produces invert sugar during extensive heating under the action of the acid in the fruit. High Fructose Syrups Very controversial believing it can not be broken down in the body. This seems to be in everything and is literally a poison for the body. refer to the Weston A price Foundation for research. HFCS consists of 24% water and the rest sugars. The most widely used varieties of HFCS are: HFCS 55 (mostly used in soft drinks), approximately 55% fructose and 42% glucose; and HFCS 42 (used in beverages, processed foods, cereals, and baked goods), approximately 42% fructose and 53% glucose. HFCS-90, approximately 90% fructose and 10% glucose, is used in small quantities for specialty applications but primarily is used to blend with HFCS 42 to make HFCS 55. Our Primary Goal is Glucose. White sugar (sucrose) has to be broken down to be used. The yeast excrete an enzyme to do this. The bacteria can get to the glucose by themselves but again is labor intensive (poor guys) Thus Inverted Sugar speeds up the process and has a slight effect on the taste. So watch your time and taste profile. Good to start on the gallon size tests first. But our End Game is the finest and Best Ever Kombucha Mushroom Tea or Ginger Beer, JUn, Water Crystals, etc. We already read What Type of Tea Should I use. as Tea adds the nutrients that our brew needs. The tea leaves behind a taste value and profile. All in all its still pretty thin taste wise. The type of yeasts adds significantly and that is determined by Time and Temperature. The unfermentable sugar and the residual sugars left over with their minerals and elements contribute significantly. For example Honey leaves a pretty distinctive taste, as do available fruits and syrups. Glucose has a glycemic index (GI) of 100 and fructose is 25. Sucrose (Ordinary sugar) which is made up of a combination of these two has a GI of 65. The University of Sydney publishes a searchable database containing the results of glycemic testing. Coconut Palm Sugar contains mainly sucrose and one would expect a GI of about 65. However it scores well in the glycemic index for sweeteners list. Tests have indicated a GI of only about 35. This may be partly because of other substances in it such as soluble fiber. However, the testing was very limited. More testing may well produce a higher GI. Gaining in popularity especially with Japanese Water Crystals and Water Kefir. They use coconut water, coconut meat, etc as well. Remember this index is for the sugar that goes directly into your body. It does not count for the sugar that comes out of your ferment. The Kombucha Probiotic Brewer has to consider first what is good for my ferment then secondly how is that good for me. note: the first four sugars listed are the most popular in Beer, Wine, and alcohol production. Each affects the taste as well as the alcohol levels in ones ferment. They are sought after because they are the most good for their yeasts (ferment) combined with the taste profile the brewer seeks. Counting calories was until relatively recently no concern. this is only a partial list please refer to the site linked above for additional information and use of these sugars in your daily diet.